In a society recently reinvigorated with divisiveness, many are using this challenging climate as an opportunity to emerge. Adaptive fashion is gracing the runway these days, making it easier and more comfortable to fit in, in style. Adaptive fashion slides right into the niche for the segment of our population needing assistance with dressing every day, and finding stylish clothes to fit into their worlds. Many young people with disabilities find it difficult to wear clothes worn by those not having the same every day challenges. More than 40 million people in the U.S. have a disability, with about 14 million experiencing challenges with daily living. Of course pre-teens and teenagers often have the extra struggle of fitting in at school or extra-curricular activities--disability or not. Clothing brands are meeting the challenge and taking fashion to the next level. 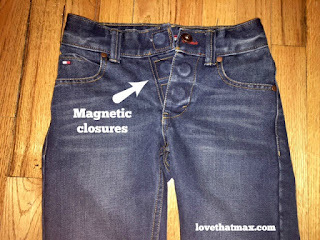 With both Target and Tommy Hilfiger launching lines with easy closures--magnets or velcro, one-hand zippers and more, families are now finding a bevy of options when dressing their young ones for everyday life. These brands are not only offering stylish adaptive options, but options for fitting into the workplace as well. It's high time for the industry to realize this market existed. MagnaReady is also doing its part with its line of magnet closure shirts. Styles are varied, and dressing is made easy. Even Zappos is in on the action with adaptive shoe options--trendy adaptive shoe options. This news is quite refreshing with so much daunting news weighing downs the airwaves. Check out some of these brands if you know someone needing an easier time dressing. Or, expand your own line. Adaptive fashion can be great for seniors, too! It's always a pleasure to reflect and share the things my Mommy taught me. There are so many, countless things she's taught and continues to teach me, but here are some of the ones that stick me time and time again. Some, she taught me and I got right away, some took time, others...still working on. What has your mom taught you that has changed or directed your life in a certain way? Share yours with us! For anyone with a bit of a scriptural compass, you know the Beatitudes, and you'll recall "blessed are the meek, for they will inherit the earth." Surely this has its own spiritual meaning, but over the last couple weeks, famed Philadelphia rapper Robert Rihmeek Williams, known as "Meek Mill" has been living that Beatitude and so much more. As you may know, Meek was sentenced to 2-4 years in prison for violating his probation in November of 2017. He'd originally be incarcerated on weapons charges, and battled with probation violations for the last 4 years. Despite also struggling with a opioid addiction, Meek did what he knew best in trying to make a life for himself--traveling for work to do shows and appearances. In conjunction with his probation woes, be was under the oversight of Judge Genece Brinkley, who often gave him personal and professional advice, both on and off the record. She even urged him to leave his record label and sign with a friend of hers. Yes, this is way more off the rails than we thought. Pitchfork has all the details--including the shoutout she requested on a song. 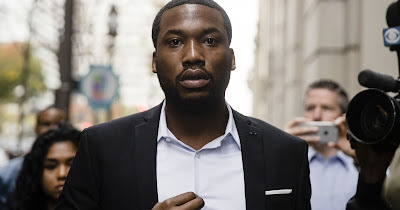 While the tea on the Judge's deep, and maybe curious, interest in Meek's case can take us into a whole series, the main point here is the obvious imbalance in probation standards and need for criminal justice reform. In so many instances, men of color find themselves not only in a situation of perpetual probation, but over-criminalized in the first place. These are circumstances where they should actually be referred to services, educational opportunities, and guidance onto the right track. Sure, consistently making the wrong decision must have its consequences, but there is more than enough to be said for the deck being completely stacked against you from the start. Since Meek's heavy-handed prison sentence was announced, he's received a bevy of support from the music industry, fans, and even sports powerhouses in Philadelphia. Owners of the 76ers have been openly supportive of Meek, along with legend Julius "Dr. J" Erving--all calling out the injustice his line of sentencing has represented. Since being released from prison last week, Meek has taken on criminal justice reform as his mission for change. He's been outspoken about changes needed to level the playing field, and has more than enough credibility to lead on the topic. It was a challenging, unfair and winding road, but it looks like Meek is using his experience and support to evoke progress. Now that's how the Meek inherit the earth. 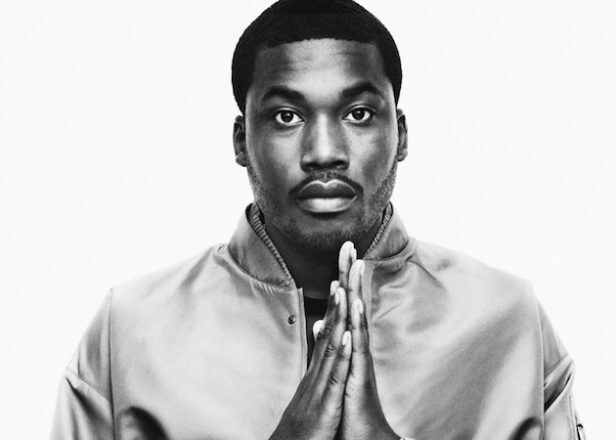 *Catch Dateline this evening at 7/6 CT to hear directly from Meek and those who've been working with him along the way.